All Posts / Our Championships / Get ready for a FANtastic week at the Scotties! Get ready for a FANtastic week at the Scotties! 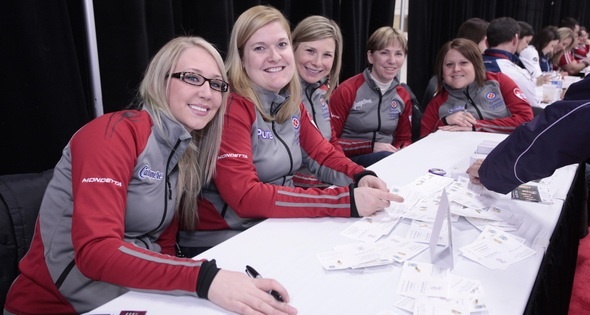 The 2013 Scotties Tournament of Hearts – the Canadian Women’s Curling Championship – will be in full swing Feb. 16-24 in Kingston. Along with all the excitement on the ice at the K-Rock Centre, fans are in for a week of jam-packed entertainment in the HeartStop Lounge – party central for Canada’s curling crowd. 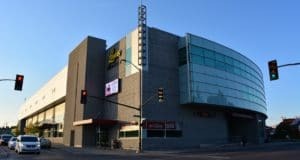 A free shuttle service will be provided for the short trip between the arena and the HeartStop, located in the Kingston Memorial Centre. It all starts out Friday, Feb. 15 with Fan Appreciation Night. The evening – exclusive to holders of a Full Event Pass or Double Impact Opener package – features a welcome to the Hotel California: The Original Tribute to the Eagles. Fans will also have the opportunity to meet all the athletes. The HeartStop will be rocking all day, every day – and late into the night! The party comes complete with a hearty selection of food and beverages and a daily lineup of some of Canada’s hottest bands. 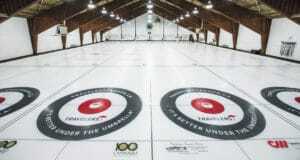 And, the best part is, admission is included in the price of every same-day ticket to the Scotties. It’s also home to the popular Up Close and Personal interviews and Team Autograph sessions, where you can meet face-to-face with the biggest names in the game. The interviews take place Saturday through Friday and the teams will be on hand for autographs Monday to Friday. A special all-team session is scheduled for Saturday, Feb. 24, just in case you miss any of your favourites during the week. You can also get into a championship of your own in the Cool Shots competition, with a new round underway every day in the HeartStop. Sign up for free and take your shot at some cool cash prizes in the tabletop version of the grand old game. 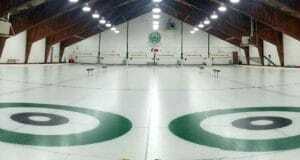 Daily winners will move on to the playdowns on championship weekend with even more cash on the line! Click here for the full schedule of activities for the Scotties. “You Gotta Be There” for the unique experience of live championship curling when the 2013 Scotties Tournament of Hearts comes to Kingston, Feb. 16-24. There’s still time to get your tickets, just by clicking here.